The skin on the neck is very similar to the skin around the eyes in that it suffers an accelerated rate of ageing due to the range of movement and effects of gravity. 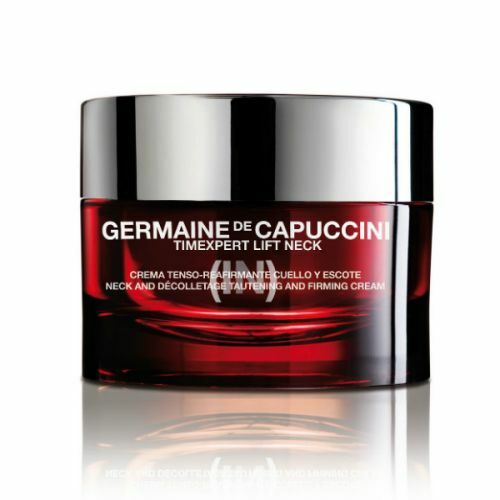 Maintaining elasticity is key to keeping the neck taught and youthful. NIOD have developed Neck Elasticity Catalyst using the latest in Pro-Elastic Fibre Technology to equip the neck with the elastcity it needs to maintain movement without damaging its appearance and supporting its integrity. Apply twice daily after cleansing. Use a pea-sized amount and work if from the top of the chect up to the chin using gentle strokes. 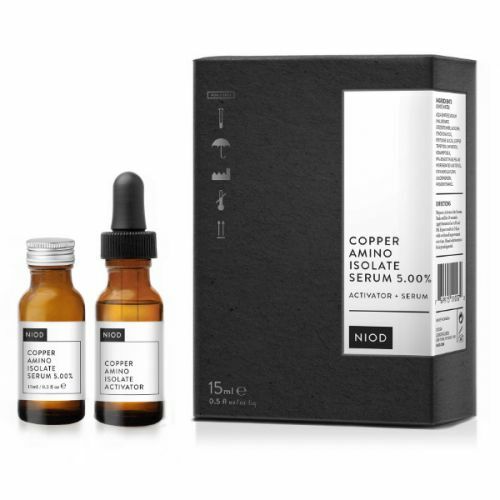 Boost Elasticity with the very latest in Pro-Elastin Fibre Technology from NIOD. Like scaffolding for the neck, NEC makes the skin tighter, more flexible and more capable to cope with the range of movement it has to endure. The ingredients travel deep into the lower layers of skin adding tiny supporting fibres to the cells to assist with movement and skin bounce-back. Used religiously as part of your skincare regime, Neck Elasticity Catalyst will build a support network into the neck that will help to tighten the skin, lift the area and reduce the rate at which the skin stretches. 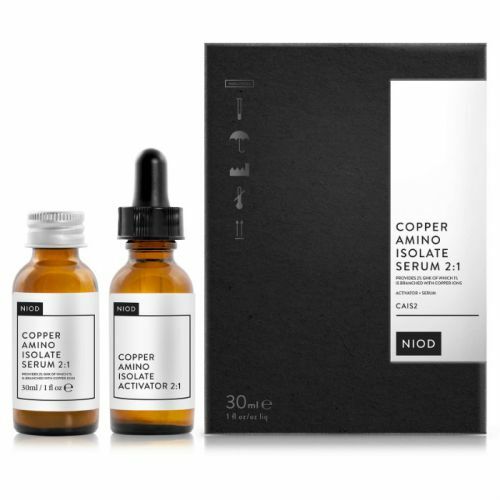 For best results, build this product into your skincare regime permanently. Massage Neck Elasticity Catalyst into the neck, chest and lower parts of the face for 20 seconds twice daily. Apply after cleansing and before moisturising. Store it somewhere cool and out of direct sunlight. This will protect the ingredients and also enhance the tightening effect upon application.